Many ancient statues, such as this one from Greece, display a J-shaped spine. 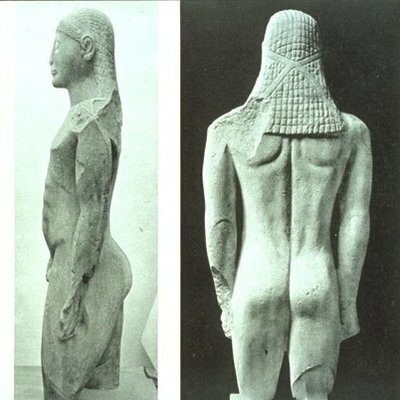 The statue's back is nearly flat until the bottom, where it curves so the buttocks are behind the spine. Over the next decade, Gokhale went to cultures around the world that live far away from modern life. She went to the mountains in Ecuador, tiny fishing towns in Portugal and remote villages of West Africa. "I have a picture in my book of these two women who spend seven to nine hours everyday, bent over, gathering water chestnuts," Gokhale says. "They're quite old. But the truth is they don't have a back pain."